Obituary for Ophelia "Opie" (Hubbard) Williams | McIlvaine-Speakman Funeral Home LTD.
Ophelia “Opie” Williams, 84, of Canonsburg, died Tuesday, September 4, 2018, in her home surrounded by her family. She was born February 9, 1934, in Macon, Ga., a daughter of Annie Lou Hubbard. Ms. Williams had worked at JC Penney in Washington and for 20 years at Mayview State Hospital where she retired in 1996. She was a member of the Church of God in Christ in Houston and later joined Mt. Olive Baptist Church in Canonsburg. 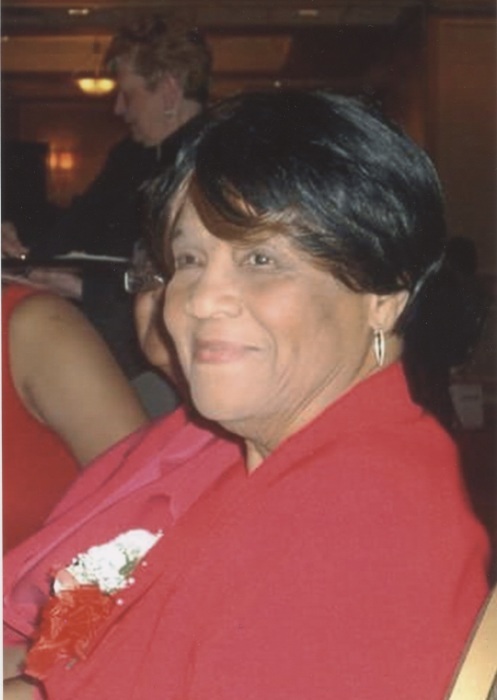 Ms. Williams was a member of the Western Star Temple #3, Daughter of the Elks and was active in the Washington NAACP where she had served as treasurer, youth advisor and executive member. Surviving are: a son, Leonard Williams (Tamara) of Washington; three daughters, Brenda Hagan, Jennette Fedd and Marian Nichols (Burl) all of Canonsburg; 10 grandchildren, 29 great grandchildren; a brother, Nathaniel McNeal (Sylvia) of Woodbridge, Va.; a special niece with whom she had lived with at times, Carolyn Dunklin of Canonsburg; and many nieces and nephews. Deceased are five sisters, two brothers, a granddaughter and three great grandchildren. Friends will be received from 5 to 8 pm Friday in the McIlvaine-Speakman Funeral Home Ltd., Robert K. McIlvaine, owner/supervisor, 27 Cherry Avenue, Houston, PA 15342, where services will be held at 11 AM on Saturday, September 8, 2018, with Rev. Lance B. Whitlock officiating. Interment will follow in Forest Lawn Gardens, McMurray.